African American inner-city youth circa 1950.
inner-city youth and the African American community. The Baltimore YMCA acquired the property in 1946 from Goodman and Belle Goldstein. The YMCA ran summer camps for boys (and eventually girls) from circa 1950-1980. The exact history of the YMCA is not documented in County records. In the future we hope to research the YMCA archives to discover the full history of the camp. In August 1984, the YMCA sold the property to the State of Maryland. 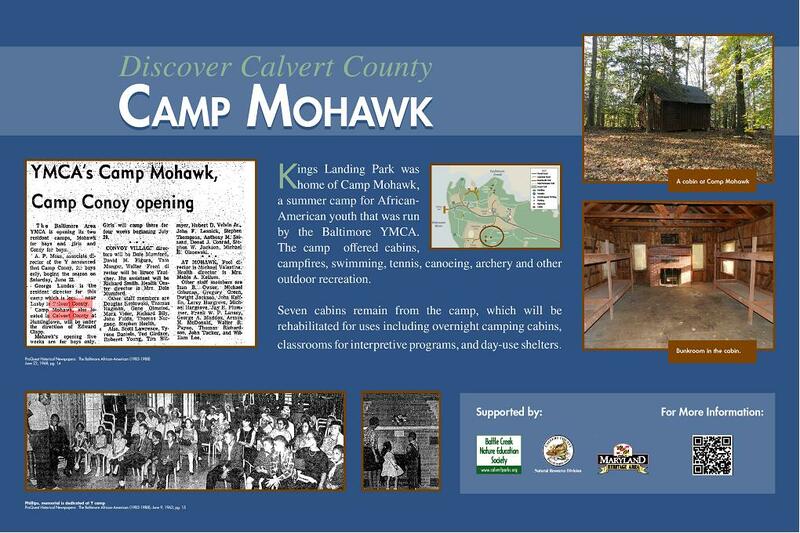 In November 1984, Calvert County and the State entered into a lease over the property in order to provide swimming and other recreational opportunities for the public. In 1995, the lease was renewed for a 50-year term. In 1990, a Master Plan for the Kings Landing Natural Management Area was developed cooperatively by the State and County. 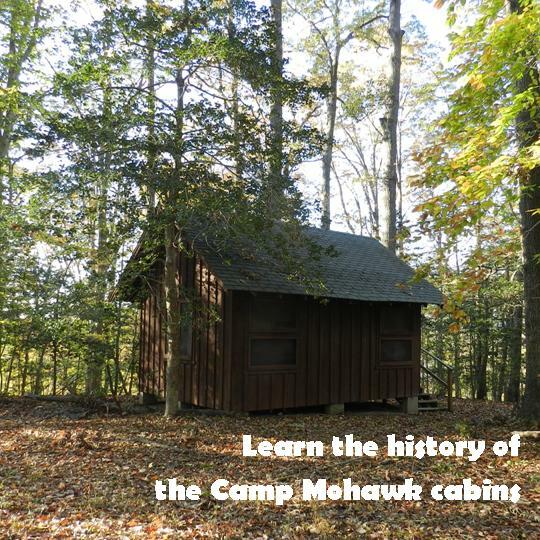 The cabins were identified as an important asset to the area for the environmental education programs of the park. In the Southern Maryland Heritage Area's Five-Year Capital Project Program, Kings Landing Park was one of the locations identified for the construction of the overnight facilities. Grants through the African American Heritage Preservation Program supported the rehabilitation of the cabins. A grant from the Southern Maryland Heritage Area Consortium funded signs to interpret the YMCA cabins for park visitors. Click here for a pdf of the signs.